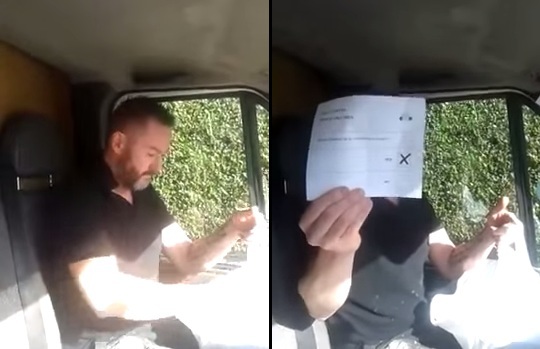 Scottish man finds a bag full of “YES” votes in the Scottish Elections that have been trashed. This is just further evidence of election fraud. Based up the pattern and information and beliefs, the EU was behind ensuring that Scotland would reject separation from the UK because of fears of a European-wide contagion. EU vote counters were by no means independent. They were there to make sure the vote did not go against Europe. The EU blocked referendums in Greece and Spain while staging a covert coup to drive Berlusconi from Italian politics because he saw the danger of Brussels and wanted to take Italy out of the Euro. Now Italy has entered deflation as interest in borrowing collapses, the hunt for taxes at the behest of Brussels has destroyed the economy resulting in a sharp drop in spending. Italy has been sold down the river and we will see this turn very violent after 2016.